Diabetes is becoming one of the most common disease in the modern world. 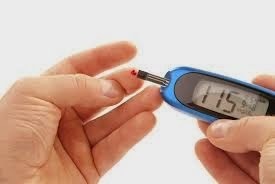 In this disease the blood sugar level is not controlled by our body properly as insulin hormone which regulates the blood sugar is not secreted properly. While i was researching about this disease, i found an Ayurvedic Treatment of Diabetes. Ayurvedic Treatment are well known in the world for their good results with no side effects. I have found the following ayurvedic diabetes treatment on a website while researching on this topic. Please read the "Important Note" at the end of this article to check the genuineness of this treatment. Add of the above ingredients in a container. Add 1.5 Ltr water in it and mix it. Keep it open till its temprature become normal. Distill the water from it into a glass bottle. Keep it in a fridge. Now your Ayurvedic Diabetes Medicine is ready. Drink one small cup of this water just after getting up in morning. It should be taken before breakfast. For first 1 week drink it daily. During second week drink it on alternate days. After 2 weeks of course get your sugar level tested. Never keep this water in a steel bottle (it may make the water sour). Use a glass container. Please mention your test results in the comments section if your have tried this ayurvedic medicine. Your comments might help other people in getting rid of this disease. A website named hoaxorfact.com says that the above treatment is a hoax. You may check its details on the following URL: http://www.hoaxorfact.com/Health/successful-treatment-for-diabetes-by-dr-tony-almeida-bombay-kidney-speciality-expert-facts.html . This site says that Dr Tony Almeida is no one. But i found him on practo.com (https://www.practo.com/mumbai/doctor/dr-tony-almeida-diabetologist) . I am still unsure if the above treatment works or not. Your comments are most welcome on this topic. If i find some better ayurvedic treatment for diabetes then i will mention it on this page. Till that time keep visiting betterhealthfacts.com . Need to continue old sugar tablet or not while start treatment.